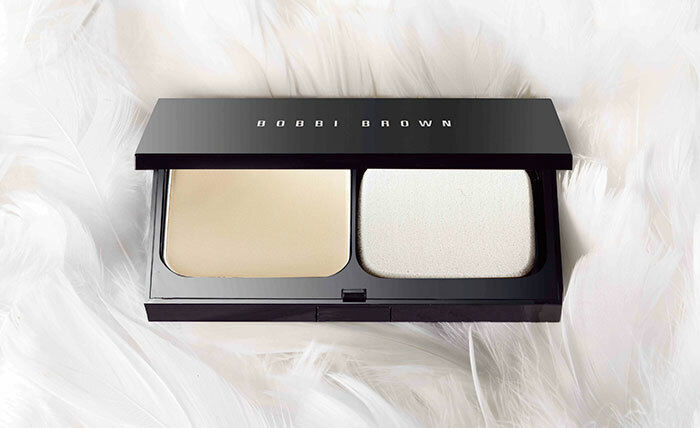 Bobbi Brown’s New Skin Weightless Powder Foundation is a light and creamy skin treat that melts onto skin, blurring imperfections for a natural-looking complexion. The winner is its semi-solid delicious texture, which feels like luxe cashmere on the skin. Unlike traditional powder foundations, which are dry powders pressed into a pan, this begins as a creamy liquid and powder blend that’s baked for 12 hours.